History reveals that originally Mahabaleshwar was limited to the area which is now referred to as old Mahabaleshwar. During the Maratha rule, this area was well-known as Sri Kshetra Mahabaleshwar, which is located at around twenty km from new Mahabaleshwar. The main city and market place which is widely visited today was originally developed by the British as a tourist spot which ended up becoming more popular than the original spot. However henceforth whenever you visit this destination, do not forget to visit old Mahabaleshwar where you shall discover real peace of mind amidst divine surroundings and some of the ancient temples which hold a lot of importance for devotees. 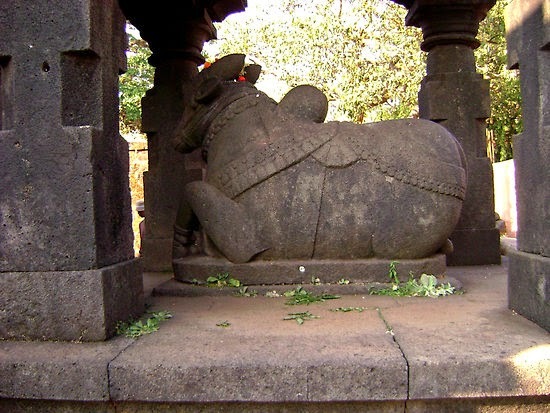 An ancient Shiva temple welcomes you as soon as you enter the old Mahabaleshwar area. The temple has been retained in its original form without much change giving people a glimpse into the style and architecture of those times. Mahabaleshwar received its name from this ancient temple, which means the deity with strong arms or in short the most powerful deity. This is the rarest of the Shiva temples in Maharashtra which has a Swayambhu shiva linga, with a number of streams surrounding it. The cave-like appearance of the temple and the cool water inside gives you an idea about how temples used to be a thousand years ago. Next to the Shiva temple, you can visit the Panchganga temple which is said to be the meeting point of the five major rivers like Koyna, Krishna, Venna, Savitri and Gayatri. A stone wall near the temple, has five holes and water from these holes flows out and unites to come out from the mouth of a cow. This is based on facts described in Hindu mythological books. River Ganga is said to appear to the north of this temple, every twelve years. Old Mahabaleshwar tucked on a mountain summit just twenty km from the city is adorned with exclusive scenery and a treasure trove of ancient temples. Apart from its historical importance, it serves as the best trekking site, challenging the skills and experience of trekkers.